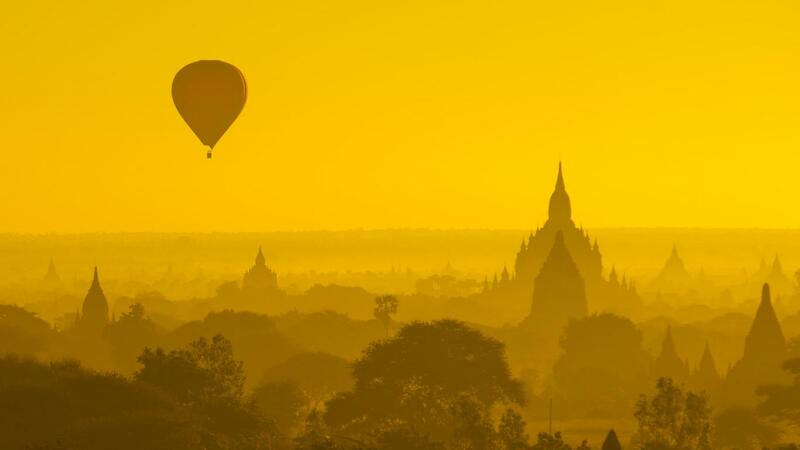 Hot Air Balloon Bagan is an independent, online booking agency that was founded to provide you with a once in a lifetime experience. 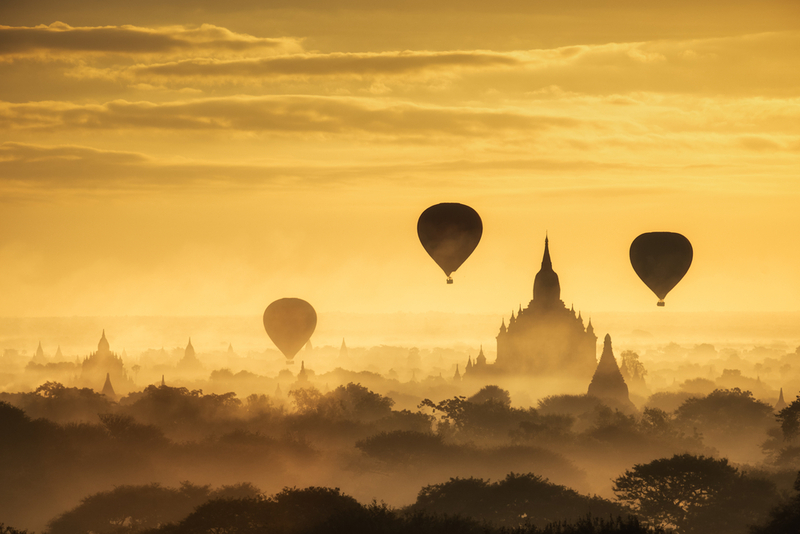 Bagan has unreal landscape with mystical pagodas which makes one of best hot air balloon ride destinations in the world. 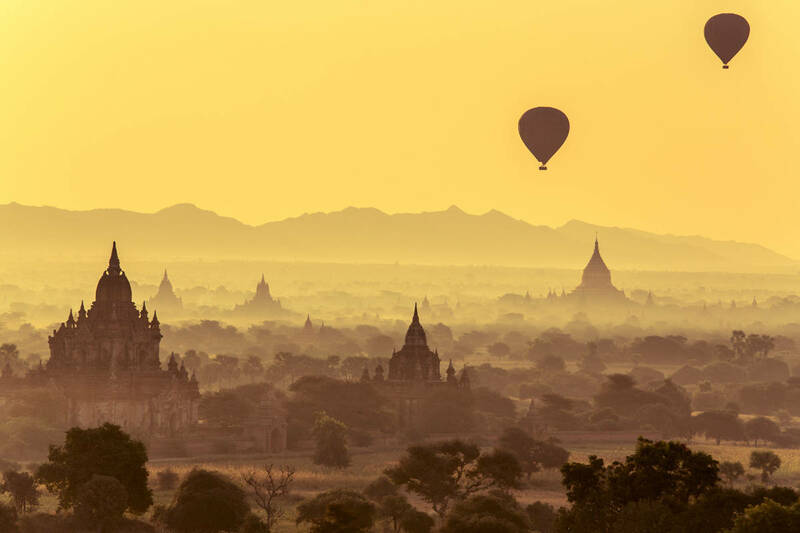 The spectacular Buddhist temples and amazing geography combined with excellent flying conditions allow the balloons to gently drift over sacred peaks, giant trees, agricalture field and river at dawn. 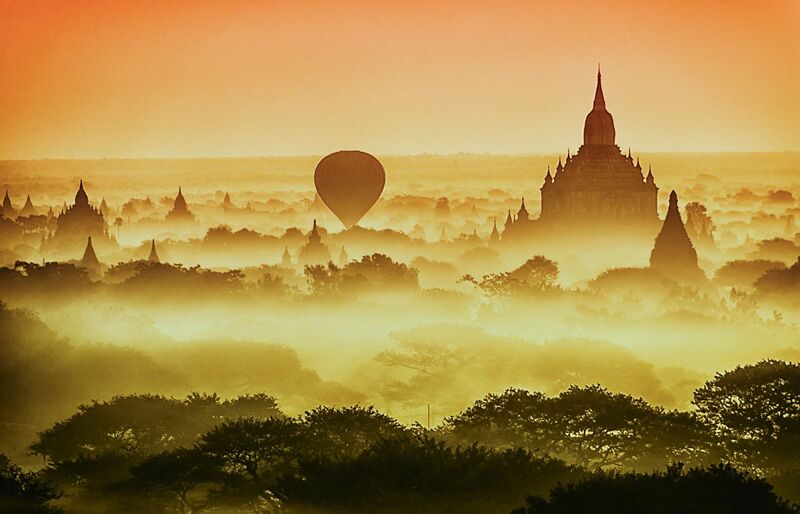 Each pagodas with distinctive style of architecture, reddish color with green combination is breathtaking views over the region. 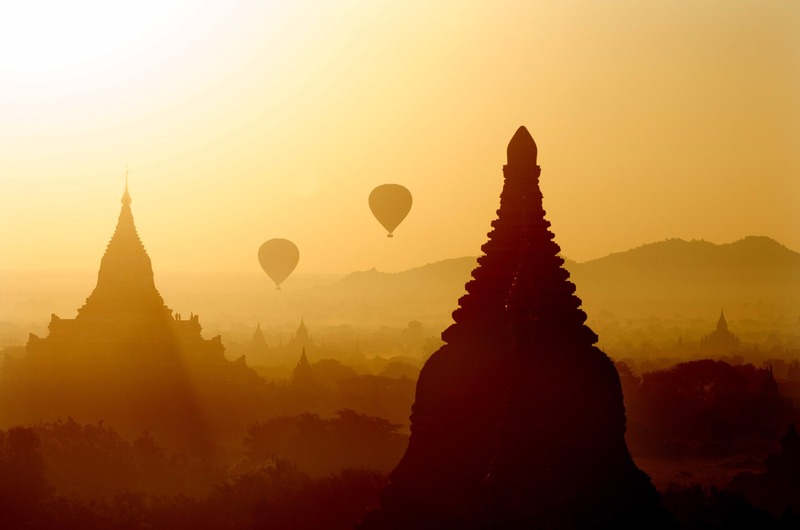 The suitable flight period is in a year, beginning of October to mid of April. Fligh includes: Hotel transfers, hot drinks, snack before take of, insurance and commemorative flight certificate. 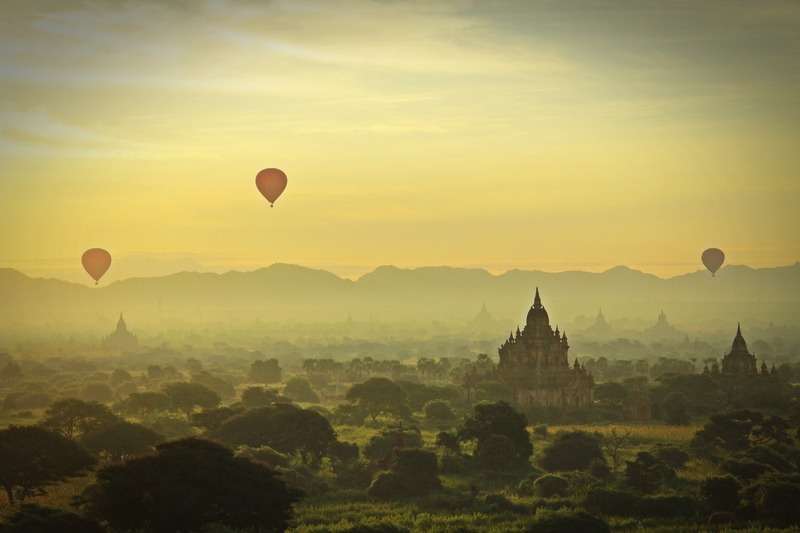 Please visit our balloon ride options. Our flights on average last 45 minutes to one hour depending on the wind. Flights over 25 minutes are deemed completed. The whole experience including hotel pick ups and light champagne breakfast lasts between 2 ½ to 3 hours. Ballooning is also about watching the set up of the balloon, and being “rescued” at the end too, not just the flight itself. Not knowing where you are going to land is always exciting and part of the adventure! 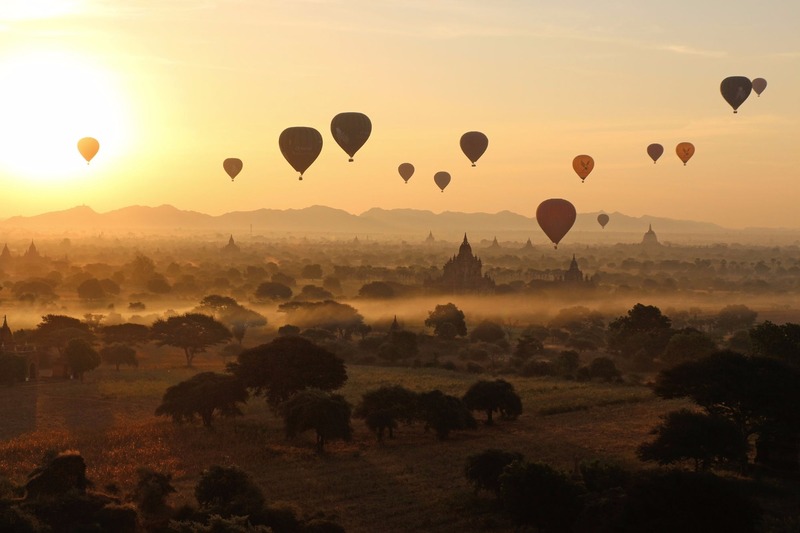 Bagan Balloon Bookings are working with all reliable balloon operators. 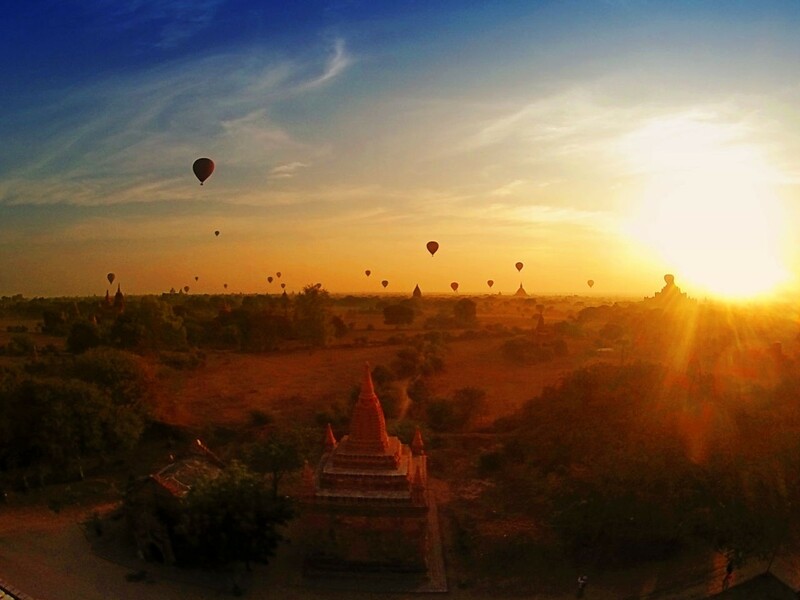 In Bagan, currently have 24 balloons in service. 8-12-16 passangers capacıty baskets for small or large groups. 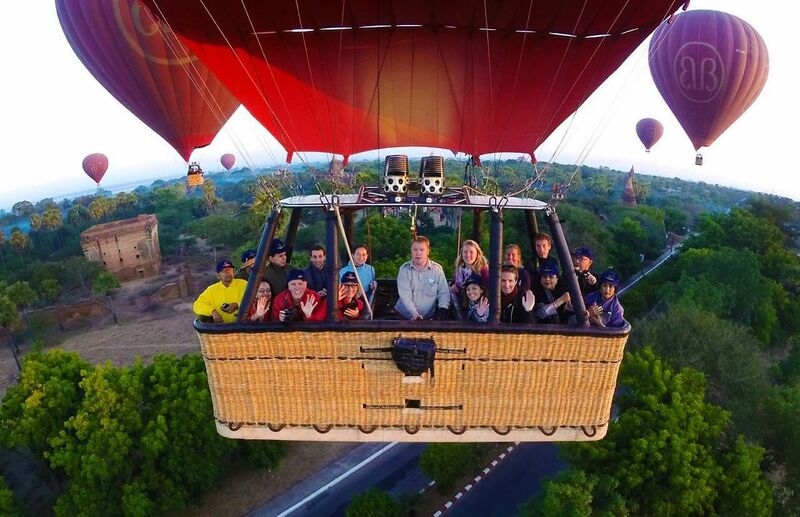 Our successful premium service offers a more personalised and spacious experience for a maximum of just 24 passengers per day in our three smallest 8 passenger balloons. Designed to hold just 4 couples in their own individual compartments with more personal space, the premium service offers a more intimate and private experience. A highlight of the experience is a guided interactive tour around the balloon during inflation from your pilot just prior to take off. In addition to this, clients will receive an in-flight photos link of their flight to download after using the access code to the online folder from October 2015 onwards and for classic service flight, it can be purchased onsite at USD 20 for the particular date. For the morning flight, passengers are usually picked up at their hotels by our Operator bus between 05h00 and 06h00 in the morning depending on the location of your hotel and the hotels of other passengers. 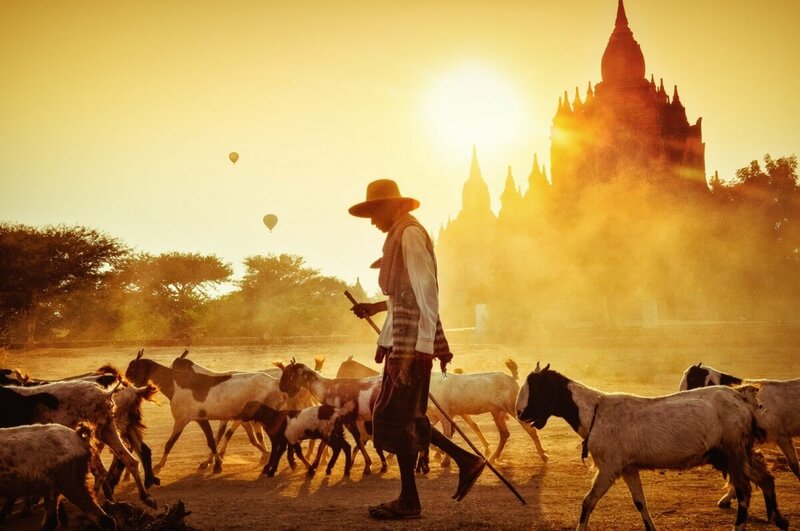 The exact time will be given to you the evening before when you or your guide come to our Sales office in Bagan to reconfirm your flight. For a pre-booking, we will ask for advance payment for confirmation of your flight. If you want you can make full payment is accepted by credit cards (Visa or MasterCard) at the time of booking through our online booking system. Yes of course! When the operator's chief pilot decides that the weather is suitable and it is safe to fly. Therefore it might unfortunately be possible that we have to cancel the balloon flight at the launch site for safety reasons. In that case we will refund 100% of your payment. We will refund immediately to your credit card account in 3 business days. It is important that we receive the correct weight of each passenger as soon as possible. The chief pilot needs this figure to calculate the total ballast of the basket, so that he can determine the total amount of lift available on that day.We will meet you at your hotel 30-60 minutes before your flight, depending on your hotel location. We will drive you to the launch site for a pre-flight buffet breakfast.